Forbidden Column? I Never Give UP!! | Think the Unthinkable Future. Forbidden Column? I Never Give UP!! I’ve just arrived at Hong Kong. Why in Hong Kong?? Because I’m invited to attend this years’s meeting of the Asian Financial Forum (AFF) to be held from tomorrow. I already participated in this forum twice, but only in private capacity. This time, the Hong Kong’s authority officially asks me to come here, because it really needs enhanced presence in the international media Especially in Japan, this forum is not broadly known in the public. I’m asked to report afterwards in Japanese what’s up there. Of course, I’ve got any instruction from the authority what to write and not to write. I’ve just written, “Hong Kong needs enhanced presence in the international media.” Why?? You can easily find the answer in this paper published by the City of London. In this analysis, which is also not paid attention to in the Japanese public, Shanghai is praised as the top runner in the Asian financial market. Hong Kong is apparently disgraced, even though the British government directly made an agreement with the Hong Kong Authority to promote Renminbi in Europe. The question is, which city the City of London actually selected as its main partner, “Shanghai” or “Hong Kong”?? I personally suppose the answer is “Neither, nor”. That means the third party could be preferred at the final stage. Its name is …”Tokyo”!!! Nobody believes that, I know, I know. However, I appreciate if you’ll take a little bit time to read through the above mentioned report by the City. You can easily understand what I mean, while Tokyo is not excluded as the candidate in this report. Just before my departure to this Chinese city of Dragon, a terrible thing happened and threatened my own presence in the Japanese media. I published a column on the Japanese eminent internet media called “TOYO KEIZAI” about tritiated water emitted by the first nuclear reactor in Fukushima. In this column, I briefly referred to a operation test by a Japanese venture to be undertaken on January 14 at a certain famous national university. The point is the enterprise will test a high technology of nuclear transmutation, which almost all the scientists have been disregarding as fake. My column gave therefore a deep impact in the Japanese public, and a lot of so-called “experts” harshly criticized it. Finally, the editorial department of the TOYO KEIZAI decided to delete the column and not to accept my contribution any more. 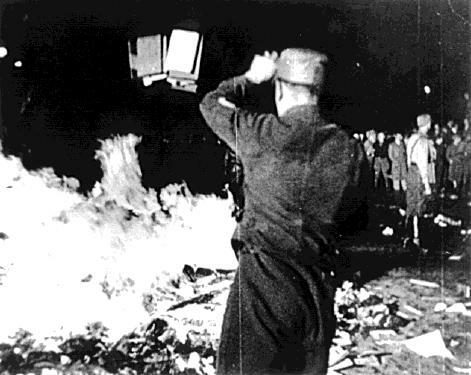 This is a kind of “Book Burnings”, don’t you think so??? Even in Japan, an advanced country with full commitment to human rights, you can find such a censorship. Can you believe it?? But…I never give up. Unfortunately, the operation test was postponed and is now being rescheduled. As soon as its results will be revealed, I’ll report that on my Japanese weblog and my contribution in the Japanese version of “Yahoo! news”. In the era of the internet and social media, there are many loop holes for those who really want to express truths, I think.